Styx and Tampa based Southern Rockers -The Outlaws have just been announced as headliners for this year’s 22nd annual Ribfest event on November 12th at Vinoy Park in St Pete. All advance ticket sales will begin on October 1st. 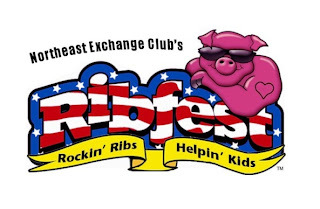 The three day charity fundraiser features the best barbeque ribbers in the world and great music. Tickets are $13.00 in advance and $20.00 at the gate. Get more information about the event here. Just announced to the lineup as of July 19th is John Fogerty-Legendary frontman and guitarist from Creedence Clearwater Rival. 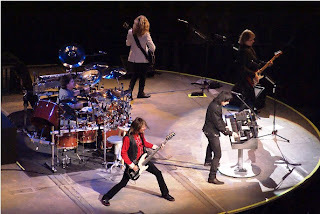 The Chicago-based progressive rock group Styx was formed in 1972 by twin brothers Chuck and John Panozzo and their neighbor Dennis De Young. 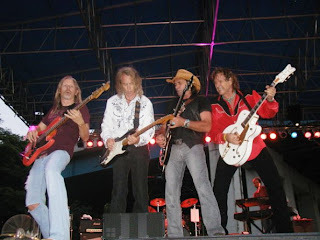 The band’s big break came in 1974 when their consequential tune “Lady” began to get considerable airplay on WLS-FM in Chicago. Following its fruition in Chicago, the song was released nationwide and immediately hit number #6 on the singles chart. The album Styx II also was certified gold. 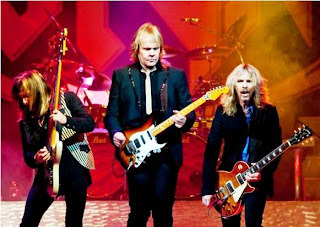 Throughout the mid 70’s and early 80’s, Styx was a mainstay on Progressive Rock and Top 40 radio stations and spawned such classic rock standards as “Come Sail Away,” “Renegade,” “Blue Collar Man”, “Fooling Yourself,” “Babe,”(Reached #1 on Billboard’s Top 100) “The Best of Times,” and “Roboto.” Their albums Crystal Ball, The Grand Illusion, Pieces Of Eight and Cornerstone - All earning at least platinum certifications. In 1981, Paradise Theater - a concept album was released. The album was supposedly written as a metaphor to the difficult times that our country was facing. (Iranian hostage situation, Cold War, etc) Paradise Theater became the band’s most commercially successful album –selling over three million copies in a three year period. It also became the first time that a band had released four consecutive triple-platinum albums. The hit “Too Much Time on My Hands” reached #9 on the Billboard Top 100. 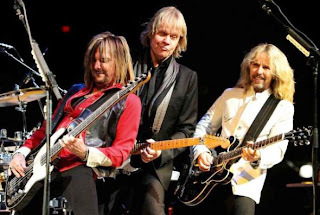 In 1986, Styx released their live album called - Caught in the Act. 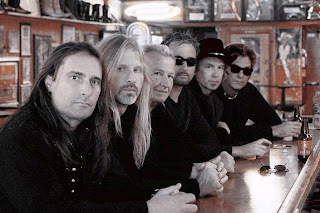 The album produced one new song “Music Time.” The band split to pursue solo projects before reuniting in 1995. 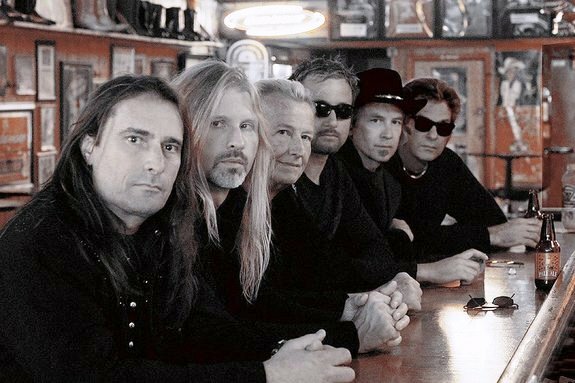 Drummer John Panozzo fell seriously ill due to alcohol addiction and missed the reunion tour in 1996. He died later that year. Todd Sucherman became their new drummer. 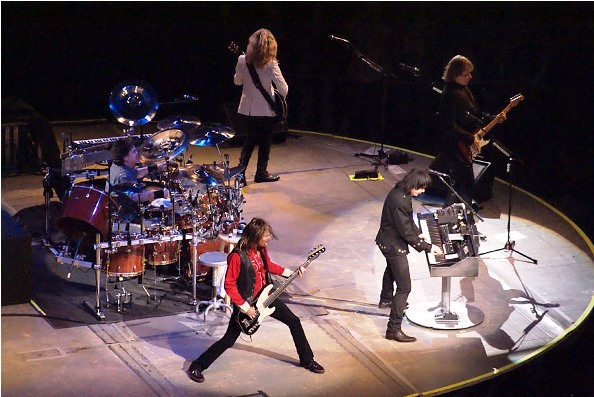 The tour produced their highly successful live album/video in 1997 called Return to Paradise. In 1999, the band released its first studio album in more than ten years called Brave New World. It was also the final year that original frontman Dennis DeYoung would play in the band. Subsequent releases were Cyclorama in 2003 and Big Bang Theory in 2005. STYX will join YES on tour beginning July 4th for their Progressive U.S. tour. 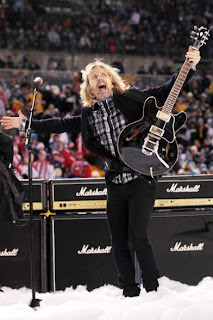 Tommy Shaw -lead guitarist and vocals. James Young -vocals, guitars and keyboards. Todd Sucherman -drums and percussion. Lawrence Gowran -vocals, guitars and keyboards. Ricky Phillips -bass guitar and vocals. Ribfest is November 11th through 13th. Trace Adkins will be performing on Sunday November 13th for Country Day. 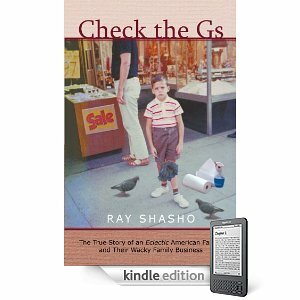 Buy my new book called Check the Gs –The True Story of an Eclectic American Family and Their Wacky Family Business.